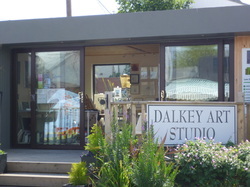 Studio address; The Dalkey Art Studio, Strictly By Appointment. All paintings and drawings are for sale either at the studio or online. Paintings start at 200 euro. Please contact me for information on a specific work. Opening times at the studio may vary, please phone first to aviod disappointment!